With so many historical sites, unique and artistic attractions, and natural beauty, Santa Fe has more riches than most cities in the United States. 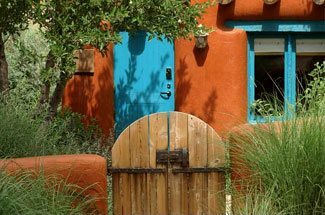 Whether you want to explore a unique museum, take a stroll through Santa Fe Plaza’s adobe house-lined streets, or take a hike in nearby Pecos National Park, there is something new and exciting to explore every day in the City Different. And that is before we mentioned the delicious Southwest fare you can indulge in during Santa Fe Restaurant Week! This annual event lasts 10 days and features deals at over 50 restaurants across the city! So, what are you waiting for? Satisfy your appetite for excellent cuisine, stunning scenery, and an engaging dose of history. For an in-depth look at Santa Fe and it’s many cultural hotspots, local favorites, and historical attractions, request a free copy of our Vacation Guide! It’ll help you with planning and organizing your trip itinerary, so you don’t have to worry about what to see and do while savoring every moment of your vacation in the Land of Enchantment! Santa Fe Restaurant Week happens once a year during February. Visit the Santa Fe Restaurant Week website for the specific dates in addition to the list of participating restaurants! Specific menus will be posted on the site in January to make your decision a little easier! There’s no other time of the year that you can enjoy the amazing cuisine of the city at such great prices. For the 10 days of Santa Fe Restaurant Week, establishments across town create a menu with prix-fixe dinners that represent their offerings as a whole. While the entire menu is not available at the discounted prices, you’ll find that these three courses are more than enough and equally delicious. Restaurants choose to charge $15, $25, $35, or $45 per person depending on the location. There are also value-priced lunch options if you’re looking to participate in the afternoon instead of the evening! Look out for Special Culinary Events! Along with delectable lunches and dinners, Santa Fe Restaurant Week also brings incredible culinary events to the city. During these events, you can learn some new tricks and skills to apply to your own cooking, meet talented chefs and mixologists, and more. Past events have included tequila tasting, cheese making, and behind-the-scenes at popular restaurants. Base Your Southwest Culinary Adventure at Four Kachinas! 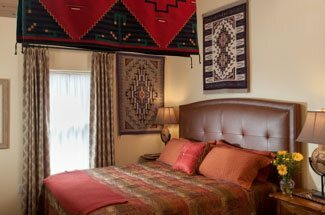 Four Kachinas Inn is the perfect spot to base your restaurant exploration on your trip to Santa Fe! Our charming and authentically-decorated Inn is less than a 15-minute walk from the heart of town, so you can enjoy a plethora of restaurants and attractions without the worry of driving everywhere! A getaway in one of our Southwestern-themed rooms is a wonderful complement to your trip, making your stay as unique and memorable as our beautiful city. Wake up in the morning to a gourmet breakfast before discovering all that Santa Fe has to offer! Start planning your delicious tour of Santa Fe by booking your room today! Can’t find any availability at Four Kachinas? Try our Sister Inn, El Farolito B&B Inn, for another truly authentic vacation! We look forward to welcoming you to our paradise in the Land of Enchantment!